Dog nails grow quickly. So fast, in fact, that if you don’t stay on top of trimming them, they can get elongated, which could cause your pooch some problems. 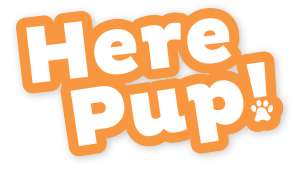 If you’ve let your dog grow long in the paw, don’t fret – you can correct the issue with a little patience. The concept of elongated dog nails is a bit of a modern problem. When dogs were wild, his constant walking about among tough terrain would serve as natural nail trimmers. This concept is still seen in modern dogs spend most of their time engaging in an active, outdoor lifestyle. For other breeds – specifically, breeds that thrive indoors, don’t need much exercise, or prefer to be couch potatoes – the conveniences of modern life have given their nails the chance to go wild. And go wild is a bit of an understatement; particularly sentient dogs could need to have their nails trimmed on a weekly basis. It’s extremely important to make sure you don’t slack off on the nail-trimming process. Long, untrimmed nails could make walking a difficult, uncomfortable task for your pooch. What’s more, long nails can easily snag on your carpet, your clothes, or your furniture; incidents that can create a bloody injury. Why Are Dog Nails So Easily Ignored? Ask any dog owner, and they will tell you that they know trimming nails is an essential part of the overall dog grooming process. Yet they also may tell you it’s the least favorite part of the procedure. You may even get them to admit that doing it fills them with dread. The reason for this reluctance usually comes down to one thing: Fear of cutting into the dog’s quick. This is the sensitive, blood and nerve-filled area that sits at the base of each nail. If that part is nipped, profuse bleeding and a good deal of pain can occur. Obviously, a sliced quick isn't fun for the dog on the other side of the cutting device, either. This, then, is the root of the reluctance. Owners don't want to hurt their dog, nor do they want their dog to think that their owner is deliberately hurting them. Unfortunately, being gun-shy on nail trimming on the whole leads to much more discomfort in the long run. Go to a Pro to Get the Nails Trimmed! 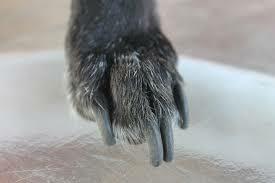 Frankly, allowing your dog’s nails to grow long out of fear is a flimsy excuse at best, since there is an abundance of professional groomers and veterinarians that will happily do it for you. Sure, their handiwork represents an extra bite out of your budget, but it’s a necessary cost if you don’t want to do it at home. Besides, they make the task look so easy. So How Do I Trim My Dog’s Nails? Let’s say you don’t want to go the professional route, and have decided to thoroughly commit to trimming your dog’s nails at home. While this is great – and again, necessary if you’re not going to get it done by a pro – the act of nail trimming is a delicate dance between you and your pooch. This careful nature goes beyond merely avoiding the quick. First off, it is important that you obtain a proper set of dog nail clippers. Don’t ever think you can get away with trimming your pooch’s nails with clippers designed for your fingers and toes. There are several options specifically designed to work with the contours of your dog's nails and paws on the market; you don't have an excuse not to use them. You also need to mentally prepare yourself for the fact that your dog may be a little freaked out by the overall process. This is not universally the case – some dogs will have no problem chilling on your lap while you groom their nails. However, if a dog has had issues with nail trimming in the past, chances are he may be unhappy about things. In order to counter this behavior, you need to make sure you arrange a comfortable place for him to sit during the procedure. You also need to perpetually reassure him and give him positive reinforcement throughout the process, even if he doesn’t appear to be nervous. Treats are always an excellent way to craft a worry-free environment. If you’re worried about cutting into the quick, be assured that nail cutting is not a guessing game. Scrutinizing your dog’s nails will let you know how far up you need to trim without “quicking” your pooch. If your dog’s nails are black or otherwise pigmented, you’ll be able to spot a chalky white ring around the nail. On white nails, you will notice a “notch” on the nail that’s right below the tip of the quick. If you trim the nails below these markings, you’ll be perfectly fine. What Happens if I Nick the Quick? If you end up accidently cutting into the quick, the most important thing you can do is not panic. Yes, your dog will bleed a bit, and he may even let out a little yelp. However, it’s far from being the end of the world. 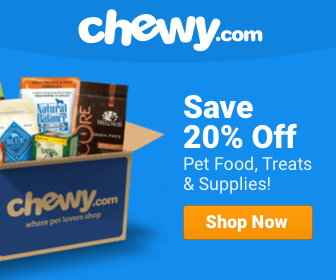 Reassure your dog by providing him with a treat immediately. This will help take his mind off of what just happened, and make him more willing to move on to the next nail. Next, apply a small amount of corn starch or styptic powder on the affected area, as this will stop the bleeding rather quickly. The next time you think that trimming your dog’s nails is a fear-inducing ordeal, it would behoove you to think about the discomfort your dog may feel with untrimmed nails. Yes, you may feel a bit reluctant, but preventing long dog nails will ultimately give your pooch an increased level of comfort when he walks. Besides, nail grooming can be used as a terrific way for you and your dog to bond. By trimming his nails, you and your pooch are fortifying a measure of trust that should always be at the center of any owner-pet relationship. When you think of it that way, nail trimming really doesn’t seem all that bad. Canine Companion in the Van – Yes or No?